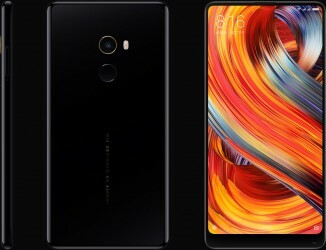 While it was supposed to go on sale on November 28, the Black Ceramic version of the Xiaomi Mi Mix 2 is finally launching today. The Black Ceramic model comes with 8GB of RAM and 128GB storage at a price of CNY 4,700 (that’s $710/€600). The White Ceramic model (which was on sale on 11/11) remains available at the same price. To clear up any potential confusion, the regular Mi Mix 2 models also use ceramic (for the back), but the frame is aluminum. The Black and White Ceramic models go all in on the ceramic.